Posted in: Lyn D jewelry design, Necklace. 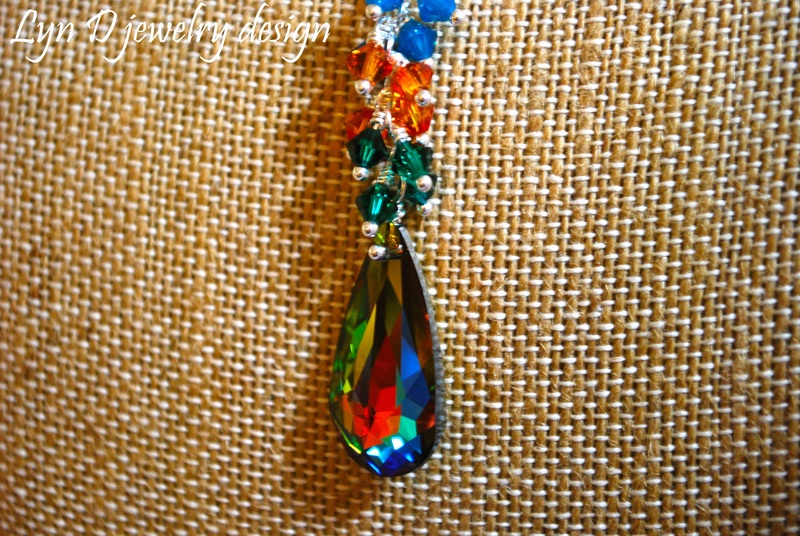 Tagged: beautiful, Lyn D jewelry design, Lynette Vandeveer, silver, sterling, swarovski, waterfall. Imagine a waterfall of color that is so rich you almost want to eat it; add a pendant that brings all these colors together. Here you have it. Add some sterling silver and you will be stopping traffic. ← I’ve got the World on a String!